…or the manor, castle or house. I live in suburbia, but I learned my love of old houses early thanks to aunts who lived in homes built in the early part of the 20th century. My aunts’ houses had features like huge screened in porches, high ceilings, socket doors and sleeping porches, all terribly exotic to my youthful mind. The kleenex-box sized bathroom on Aunt Bert’s first floor that had no insulation and was always freezing cold in winter and the old fittings in Aunt Helen’s kitchen struck me as insignificant. Mind you, Aunt Bert and Aunt Helen, and their families, probably felt differently since they actually had to live with these inconveniences. But I loved those houses. I can still recall the layout of each of them. One of the most important parts of my process is figuring out where my characters live. I could never be an architect, as my math skills stop at basic geometry; nor do I have a great eye for interior decoration, but I study floor plans and hunt down drawings and descriptions of historic houses, furniture and textiles. 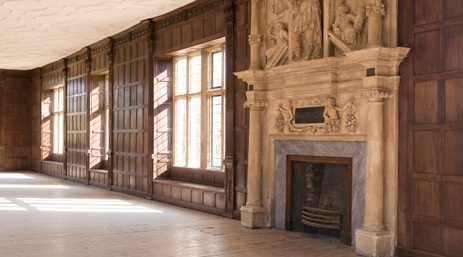 Here is a Jacobean interior, similar to some you’ll find in To be Seduced. 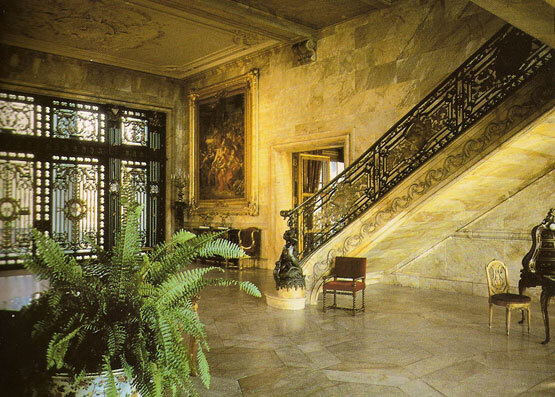 For the Quinns, I studied mansions in Newport to see how ultra-rich Americans of an earlier era spent their money. Opulent, dripping with gold leaf or frivolous fake oriental details, they provided an idea of the mind-set of people who could buy whatever they wanted, including an aristocratic bloodline for their descendants. For my current WIP, I’ve gone online to explore English Heritage houses, London townhouses and the homes of the working poor. As always, I am fascinated by the different designs and styles, each lovely in its own way. I am quite happy in my suburban house, since it contains my family, but the pleasure of creating dream houses for my characters never fades. What about your dream home? Is it a modern loft or an 1800s Queen Anne mansion or a 16th century farmhouse? 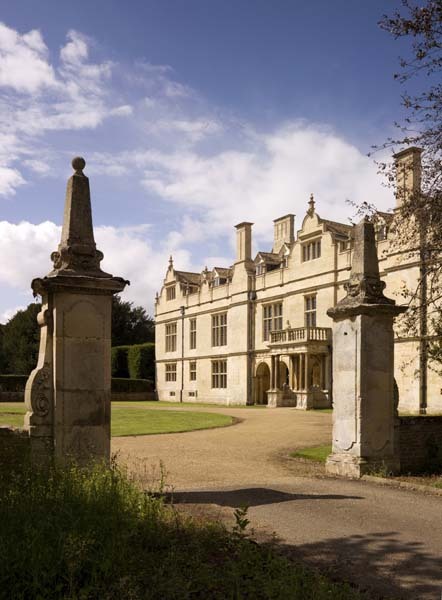 If you need inspiration, visit http://www.english-heritage.org.uk to find more house like Apethorpe Hall, pictured at the top of this post. Previous To Keep or not to Keep?